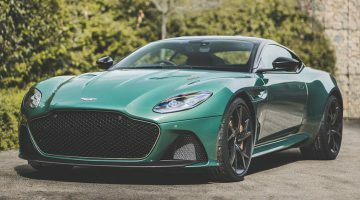 Aston Martin previously announced its plans to build a new continuation series of the iconic DB4 Zagato from the 1960s, with a corresponding bespoke version of the contemporary DBS Superleggera that would be sold along with it as a pair. 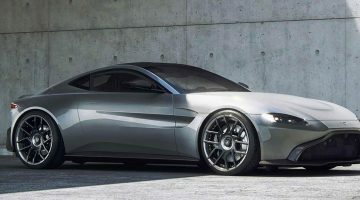 This is our first look at the new model, which will go under the DBS GT Zagato nomenclature when it reaches its 19 lucky owners at the end of 2020, around a year after the corresponding DB4 Zagato continuation model. They will be collectively sold at an eye-watering $8million, plus local taxes, yet despite the sky-high price tag, it’s still $4-5million less than an original DB4 GT Zagato on its own. Together, the pair will be known as the DBZ Centenary Collection, the exclusive duo commissioned to celebrate 100 years of Zagato, the last 58 of which it has enjoyed a close working relationship with Aston Martin. 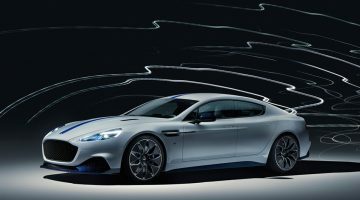 Just 19 pairs will be built (Aston won’t sell the cars separately), with the DBS versions built in Gaydon and the DB4s assembled at the Aston Works facility in Newport Pagnell. As with the earlier DB4 GTs and the recently announced James Bond DB5 continuation cars, the DB4 GT Zagato will not be homologated for the road, meaning it’s limited to ‘track use only’. Unlike these machines, however, this isn’t the first time the Zagato has been treated to a rebirth. The original was built between 1960 and 1963, but there were two further batches of cars in 1988 and 2000, known as Sanction II and Sanction III versions respectively.